Avascular necrosis: Death of living bone tissue caused by disruption of blood flow. Common causes of limping in children in this age group are septic arthritis, fractures, and complications of congenital hip dysplasia. Septic arthritis is usually monoarticular and associated with systemic signs such as fever. In young infants, the symptoms may be less obvious, such as crying, irritability, and poor feeding. Children who are ambulator)' (crawlers or walkers) will often refuse to do anything that puts weight on the affected joint because of pain. Infection of a joint causes a septic effusion, which raises the pressure inside of the joint capsule. Children with a septic hip joint will often lay with their hip flexed, abducted, and externally rotated, which helps to reduce the pain, and they will have significant pain with any internal rotation or extension of the joint. Children with a septic joint will usually have an elevated white blood cell count, erythrocyte sedimentation rate (ESR) and C-reactive protein (CRP). Definitive diagnosis comes from joint aspiration. Any suspected septic joint must be aspirated. In younger infants (4 months or younger), group B streptococcus and Staphylococcus aureus are the most common pathogens involved. In older infants and children under the age of 5 years. S. aureus and Streptococcus pyogenes are the usual causes. Treatment is urgent surgical irrigation and debridement, along with antibiotics. Unsuspected fractures—either stress fractures or traumatic fractures—can present with pain and limping. Abuse must be suspected if the injury is inconsistent with the history presented, if the history changes with repeated questioning, if the child is said to have performed an act outside of his developmental ability, or if a fracture usually associated with abuse is found (see Case 36). However, the history may not reveal the source of the injury, as a child may fall outside of the view of the parent. A traumatic injury may not result in limping or in complete immobility, but may cause a change in how the child ambulates. For example, a child who previously walked and now refuses to walk but will crawl, may have an in jury of the lower leg or foot. A toddler's fracture is one example of an unsuspected fracture that may present primarily as a limp or a refusal to walk. This fracture is a spiral fracture of the tibia that results from twisting while the foot is planted. The diagnosis may be suspected in the setting of an acute limp or change in ambulation. a normal examination of the knee and upper leg and tenderness of the tibia. It can be confirmed with a plain film x-ray. Undiagnosed congenital dysplasia of the hi]) may present as a painless limp that is present from the time that the child learns to walk. All newborns and infants should have their hips examined for instability or dislocation. If undiagnosed, contractures may form that limit movement of the hip. When the child learns to walk, the child will have a painless limp. The diagnosis may be confirmed by x-rays showing abnormal hip alignment. If the problem is found in the first few weeks of life, the child can be treated with splinting of the hip and normal development usually follows. If diagnosed late, the treatment is often surgical. Transient synovitis is a self-limited inflammatory response that is a common cause of hip pain in children. It occurs typically in children ages 3-10 years, is more common in boys than in girls, and often follows a viral infection. 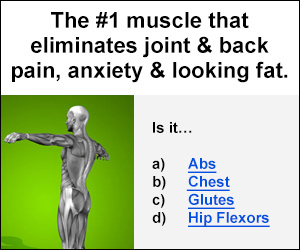 It is frequently seen as gradually increasing hip pain that results in a limp or refusal to walk. These children have a low-grade or no fever, a normal white blood cell (WBC) count, and a normal ESR. On examination, there is pain with internal rotation of the hip and the overall range of motion is limited by pain. X-rays are either normal or show some nonspecific swelling. In a situation where the patient is afebrile, has a normal WBC count, normal ESR. and short-term follow-up can be assured, the patient can be followed clinically and should improve in a few days. If these conditions are not met and the diagnosis of a septic joint is considered, or if a patient followed expectantly continues to worsen, an aspiration should be done. A septic joint will have a purulent aspirate with a WBC count >50,000/(lL; transient synovitis will have a yellow/clear aspirate with a lower WBC count (<10,000/pL). Legg-Calve-Perthes (LCP) disease is an avascular necrosis of the femoral head that typically occurs in children ages 4-8 years. It is much more common in boys than in girls. Any disruption of blood flow to the femoral capital epiphysis, such as trauma or infection, may cause avascular necrosis. In LCP disease, the etiology of the disruption of blood flow is unknown. Children typically have a gradual onset of hip. thigh, or knee pain, and limping over a few months. Early in the course, x-rays of the hip may appear normal. Later radiographic findings include collapse, flattening, and widening of the femoral head. Bone scans or magnetic resonance imaging (MRI) may be necessary to confirm the diagnosis. 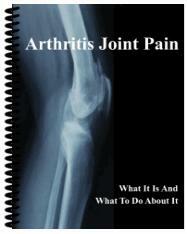 The treatment is usually conservative, with protection of the joint and efforts to maintain range of motion. Children who develop more severe necrosis or who develop the disease at older ages may have a worse outcome and a higher risk of developing degenerative arthritis. The capital femoral epiphysis is the growth plate that connects the metaphysis (femoral head) to the diaphysis (shaft of the femur). A slipped capital femoral epiphysis is a separation of this growth plate, which results in the femoral head being medially and posteriorly displaced. This may be caused by an acute injury, but more often is not. It is most often seen in overweight adolescent boys and presents as pain in the hip. thigh, or knee along with a limp. Examination reveals limited internal rotation and obligate external rotation when the hip is passively Hexed. Early x-rays may show only widening of the epiphysis; later x-rays can show the slippage of the femoral head in relation to the femoral neck. The treatment is surgical pinning of the femoral head. These patients must be closely followed, as approximately 33% will develop avascular necrosis and 33% will develop SCFE in the contralateral hip. Other causes of limb pain are common in adolescents. Sprains, strains, and overuse injuries are the most common cause of limb pain in this population, and are usually readily diagnosed on history and examination (see Case 12). Sexually active adolescents or teens are at risk for sexually transmitted diseases (STDs) and their complications, including gonococcal arthritis. In this population, an appropriate history, sexual history, and review of systems are necessary. [37.11 A 6-year-old male is brought in for evaluation of a painful hip. He has been limping and not wanting to walk for the past 2 days. He has had no obvious injury. He feels a little better if he is given some ibuprofen. He has not had a fever and does not have any other current symptoms, although he had "the flu" last week. On examination, his vital signs are normal. His right hip has some pain with internal rotation. He walks with a pronounced limp. Which of the following statements is most appropriate? A. He can be sent home with a prescription for ibuprofen. B. He should have a complete blood count (CBC) and ESR. C. He should have an aspiration of his hip in the office. D. If he has a normal x-ray. no further work-up is needed. A. You are going to report this to child protective services as suspected abuse. B. You are going to refer the child for a bone biopsy because this is a pathologic fracture that may represent a neoplasm. C. This is a common fracture resulting from twisting on a planted foot. D. You should draw blood to evaluate for sickle cell disease, which may cause infarction of the bone. [37.3) A 2-year-old boy is brought in with fever and poor feeding. He started getting sick yesterday and has worsened significantly today. He has had no recent illnesses or injuries, and no known ill contacts. On examination. his temperature is 101 °F, he is tachycardic, and he appears ill. He is laying on his back with his left leg Hexed and abducted at the hip. An head, ears, eyes, nose, and throat (HEENT) examination is normal, the heart is tachycardic but regular, and the lungs are clear. The abdomen is nontender and has normal bowel sounds. He screams in pain when you move his left leg from its resting position. Blood work reveals an elevated WBC count of 15.0(X) mm3 and an ESR of 45 mm/h (normal: 0-10). An x-ray of his left hip shows a widened joint space but no fractures. What is your next step at this point?